Solartime Electric Limited is a Nigerian engineering company in the business of design, installation and maintenance of renewable electric energy systems. We are the Nigerian Dealer/Authorised Service Centre for Schneider Electric (Renewables) France, a world leader in the manufacture of domestic and medium range inverters and power electronics systems and also the Dealer and Authorized Service Centre in West Africa for XZERES Wind Corp (XZERES) Oregon USA (www.xzeres.com), a world leaders in the small & medium wind industry. Solartime has installations located all over Nigeria. We insist on installations with protections that exceed the requirements of the national electric code and we cover product warrantees for the products we install. Renewable Energy Consultants – Your total power solutions, Authorized Service Center (ASC) to Schneider Electric Renewables (Xantrex) & for XZERES Wind Corp (XZERES) Oregon USA (www.xzeres.com). 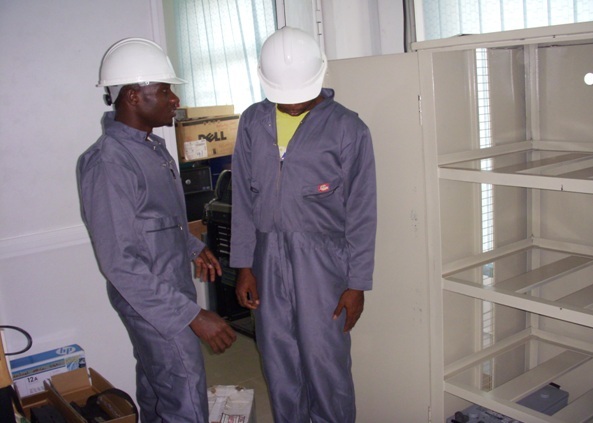 Our engineers are trained to provide reliable after sales services. The Nigerian electric grid is so erratic that there is almost always the need for the deployment of Automatic Voltage Regulator (AVR) to our grid-tie installations. Though there are cheaper AVRs available in the market, we insist on Japanese Stavol AVR. Experience in their reliability and ruggedness in handling the Nigerian local electrical ambience, has always justified our insistence. Also, to protect our installations from the multiple surge evident in Nigerian installations we include over-current protection in our installations. Our solar installations are done with solar cables with male and female terminators to avoid current leakage and the presence of water in cable junctions. MPPT charge controllers are used for large arrays to maximize harvest. Our hybrid inverter/chargers from Schneider Electric, Outback Power, and Victron Energy ensure safe automatic charging. To make renewable energy affordable in Africa. We have set out to partner with the best in the world to provide cheap energy resources for this and the future generations in Africa. 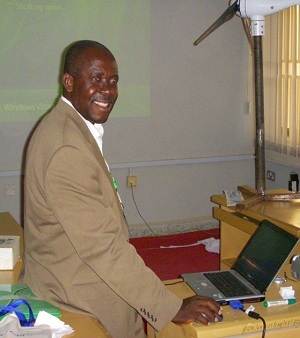 Rev Ukaegbu Ogwo MD/CE, Solartime Electric Ltd.
Rev. Ogwo has undertaken a number of specialised renewable energy trainings, first under the Hillrich/Trace Engineering partnership training program, then under the Xantrex/African Energy partnership, and then the Xantrex ASC training in Barcelona Spain. He was also one of the pioneer trainees for the installation of the Skystream 3.7 wind turbine in Flagstaff Arizona USA.